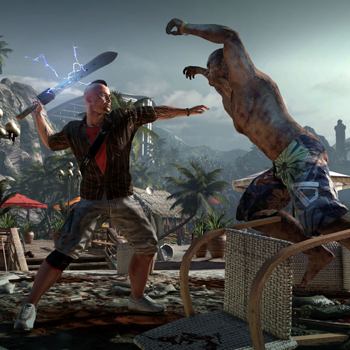 Techland cites creative differences as the reason why they're not working on Dead Island 2. Dead Island 2 is set to release next year, and while Deep Silver is still at the publisher helm, Yager Development has taken over creating the sequel. Techland game designer Maciej Binkowski gives us a bit of insight as to why Techland, the original developer of the Dead Island franchise, has stepped away from the IP and are creating another zombie game, Dying Light, with publisher Warner Bros. Interactive Entertainment. Binkowski explains how the IP belonged to Deep Silver from the very beginning, as most deals between publishers and developers go. "It's like playing poker: you have to make a decision with the information you have now. If you play the game thinking that something might happen, you're going to lose the game. At that point, that was the best decision we could do." Dead Island went on to become one of Deep Silver's and Techland's best selling games, with 5 million copies sold worldwide. Even with that success, Binkowski explains that "... there were a lot of moments where we would disagree on the creative vision of the project." Techland then created Dead Island: Riptide, which didn't sell as well as the original. Still, Deep Silver announced Dead Island 2 at E3 this year, but with Spec Ops developer Yager now in control. When speaking directly about the relationship between Deep Silver and Techland, Binkowski states there were many ups and downs. "There's always tension between the publisher and developer." It's been tough because Techland did want to make a direct sequel to Dead Island, "but at some point a decision was made." Either way, "For us [Techland] it turned out well, because being forced to come up with a new IP... We can't just make a Dead Island 2 and change the name; it's got to be something fresh, it's got to be something unique." Techland is keeping a close eye on what Dead Island 2 is doing to make sure the games stand on their own merit, and to remind the fans that they're doing something new now.